Chia seeds are small black seeds that are harvested from the Salvia Hispanica plant grown in South America. They were once an important food for the Mayans and Aztecs because of their ability to offer sustainable energy. These are the same seeds that are used in Chia pets. I know it sounds weird that we would recommend a novelty gift as a such a health supportive food. They have continued to grow in popularity in recent years. Here are a few reasons why they are a great addition to your detox plan! When you mix chia seeds with water they swell up and form a gelatinous substance. It is believed that this forms in your stomach as well when you eat them. This amazing coating slows down the process of transforming carbs into starch and ultimately sugar. It is very filling and helps curb your appetite. This makes Chia seeds the perfect fit for diabetics and those with a blood sugar imbalance. Chia seeds can absorb 30 times their weight in moisture. They can help maintain the body’s hydration levels and retain electrolytes. This is especially important during and after physical exertion and strenuous exercise. The chia seed’s ability to maintain and absorb water also makes it beneficial to the colon. They help hydrate and lubricate the mucous membranes that result in a soft and smooth bowel movements. They are high in fiber content. An ounce of chia has about 11 grams of soluble fiber, about a third of an adult’ daily requirement. Chia seeds contain high amounts of insoluble and soluble fiber, allowing them to draw and retain water. They also add water and bulk to foods. This is important in keeping your body’s system clear and clean. 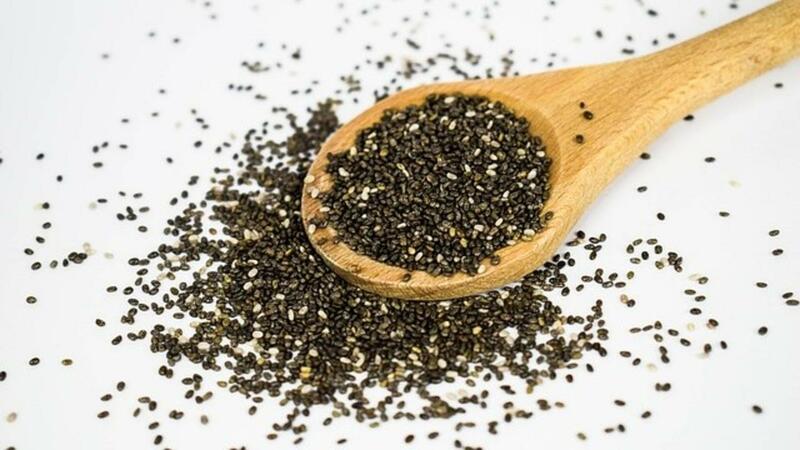 Chia seeds also allow the body to absorb all fat soluble vitamins such as Vitamins A, D, E and K.
The high level of antioxidants in chia seeds prevent the sensitive fats found in the seeds from going rotten; they also have an incredibly positive effect on your health. Their antioxidants can help stave off free radicals that damage molecules in the cells and can contribute towards diseases and aging. Chia seeds are essential to detoxify the body. When they are completely digested, they swell and they absorb toxins in the body and cleanse the digestive tract. Their detoxifying properties also help improve the health and appearance of your skin, nails, and hair. rich source of omega-3 fatty acids with a favorable .3 to 1 ratio of Omega 6 to omega 3 fats. Research shows that when you eat foods with more omega 6 fats than omega 3 fats, you are much more prone to inflammation, which causes pain and disease. excellent source of phosphorus, containing 27% of your daily value. Phosphorus is used by the body to synthesize protein for cell and tissue growth and repair. Chia seeds are a tiny little food that packs an enormous beneficial punch and are a great addition to your detox diet. Not only do they help you feel fuller longer, but they clean out your system and offer a plethora of antioxidants. Knowing what we know about chia seeds we use them in all our programs.